7,539 others viewed this post. 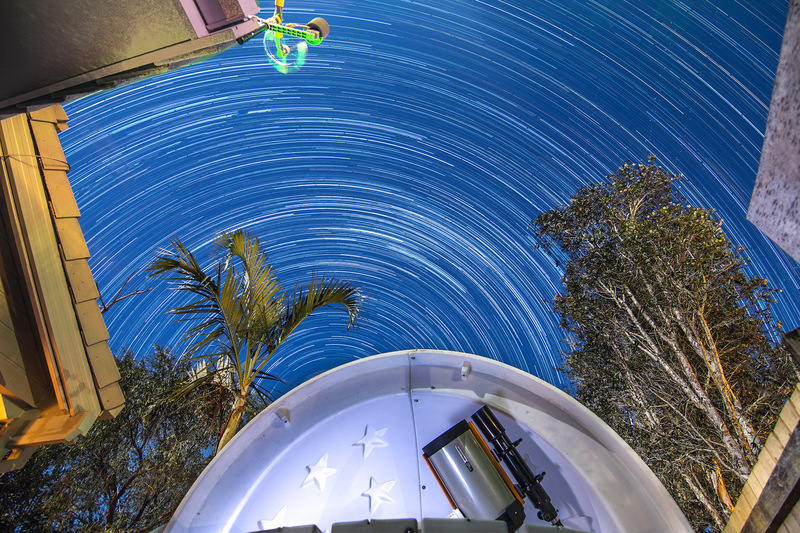 Here’s a photo of my new backyard observatory (SkyShed Pod) last night. I wasn’t sure if a star trails photo would work with the full moon out, but with 30s exposures at ISO 100 and f3.5 it actually worked ok. You can see the South Celestial Pole behind the dome, which is the point in the sky all the stars appear to be spinning around. You can see the dome roof clears my Celestron gear by mere millimeters, which always worries me when I slew around but it’s perfect and never hits anything.